The Best Western Lodge Hotel is ideally located in the heart of south-west London, Putney, close to Wimbledon, Chelsea, Hammersmith, Roehampton and the River Thames. Recently refurbished, the hotel offers 65 fresh, elegantly appointed en suite bedrooms, the brand new Bar 52 and lounge, and 3 modern air conditioned conference suites. 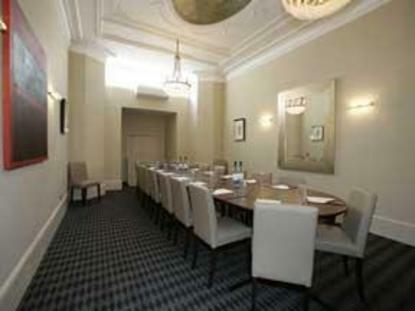 The hotel is renowned for offering attentive service by friendly staff. Full English breakfast is included in the website's weekend rates and is served in the conservatory restaurant overlooking the hotel garden. Also, the stylish Bar 52 and lounge is the perfect place to unwind after a busy day. Just one-minute walk from East Putney Underground station (District line) and close to both Putney and Clapham Junction mainline stations, the hotel is easily accessible by road, train or tube. Just a short distance from the A3, M25, A4 and M3, the Best Western Lodge Hotel provides the ideal base for access to the Surrey countryside and Heathrow airport. Central London is only 20 minutes by tube.